$50 covers a neighborhood saturation mailing list. A targeted mailing list with demographics is $80 for 1000 addresses. 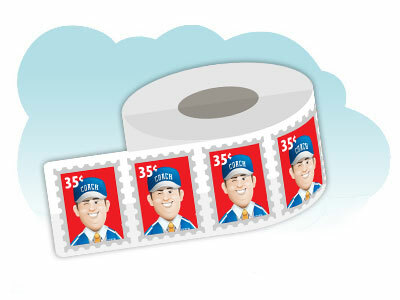 You can get a roll of one hundred 35 cent stamps for just $35. Don’t worry they are self adhesive you won’t have to “lick” them! 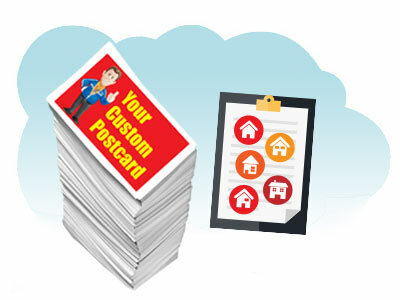 Standard size postcards 4″ x 6″ can be mailed First Class with a 35¢ Stamp. You can drop them in any US Mail Box. Successful advertising requires consistency and to be consistent you need a budget. This plan is a great place to start. 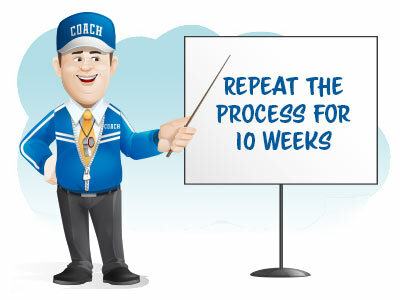 Keep it up – mail every week and you will start to see a steady flow of new prospects. Postcards are Custom Designed (NO Templates) – Get the ball rolling with a $39 Deposit.